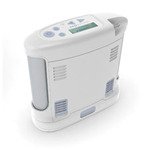 Welcome to Ron Andrews Medical Company, Inc.
Ron Andrews Medical Company, Inc. has been a trusted and respected provider of Home Medical Equipment for over 40 years. We are a local, independently-owned company with a strong focus on your health and great customer service. Count on us when you need respiratory equipment, wheelchairs, seat lift chairs, or other types of home medical equipment. We look forward to helping you. Ron Andrews Medical Company, Inc. is accredited by the Community Health Accreditation Partner (CHAP). See our online catalog for a complete list of our products. Please contact us or visit our showroom and we’ll be happy answer your questions. Help us in celebrating World Health Day by spreading awareness and staying active with what keeps you healthy!